The Porsche museum did the latter and this strategy was spot on in view of the fact that the "best" was a rare original 911. And it was precisely this that was still missing in the collection. Helmuth Bott wasn't a particularly emotional person, but today, looking back, the question arises: Is that still prose or is it poetry? On Friday, 9 November 1962 he made short, to-the-point notes: "Visibility and seating position are good. The vehicle is manoeuvrable and has fully retained the character of the sporty car." 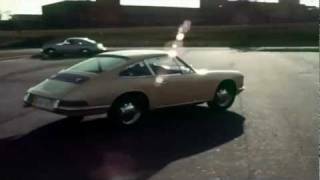 These are the words that the head of the Porsche road testing department used to describe the first ride in the Porsche 901, the legendary car that was to define the brand's production of sports cars a short time later as the 911 – right up to the present day. "This is exactly what has been missing"
Now, more than fifty years later, there is once again a Porsche 901 in the workshop of the museum in Zuffenhausen. It is the car with the vehicle number 57. Its condition? In plain words: the visibility and the seating position are poor. Although the vehicle is still manoeuvrable, the character of the sporty car has been completely lost in the garage. What's more, a door is missing. But the poetry is in the eye of the beholder. 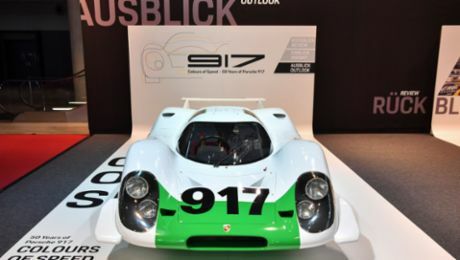 Because for Achim Stejskal, Director of the Porsche Museum, this 901 is far more than just another inventory number: "This is exactly what has been missing", he says. "It completes our collection of all important production cars from Porsche." In the first model year 235 911s were built, and the first 82 models were produced with the type designation 901. The number was subsequently changed to the number that is now a worldwide synonym for the sports car from Zuffenhausen: 911. 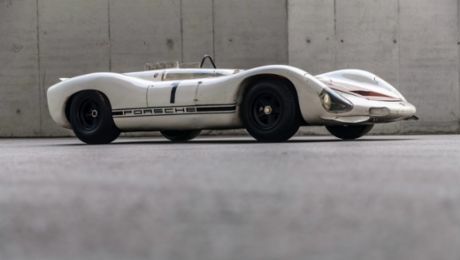 Instead a tip caught the attention of a TV station which sent a team that immediately realised that this was something special: "We're always curious about old Porsches", says presenter Otto Schulte. "Of course it wasn't immediately obvious that this was such a rare model, but after brief research it was clear that the car was still very valuable, even in this condition." One phone call to the Porsche Museum was enough.The serial number, vehicle registration document and the original engine were intact and shortly afterwards the vehicle returned to Zuffenhausen. Stejskal says "There is no time pressure for the restoration." He is roughly planning between one and two years for this; after all, great importance will be attached to the details. The sticker from the Berlin police sports association will also be kept. This comes from the first owner and benefited the later owner for many years. "I could park the car wherever I wanted to", he says with a smile "and I never got a parking ticket, even if all other cars got one on their windscreens." The fact that he ultimately parked the car in a garage is the tragic element of this story – although it does indeed have a happy end.